The much awaited eighth part of the Harry Potter franchise is out with a marked visibility of a huge rush for it. 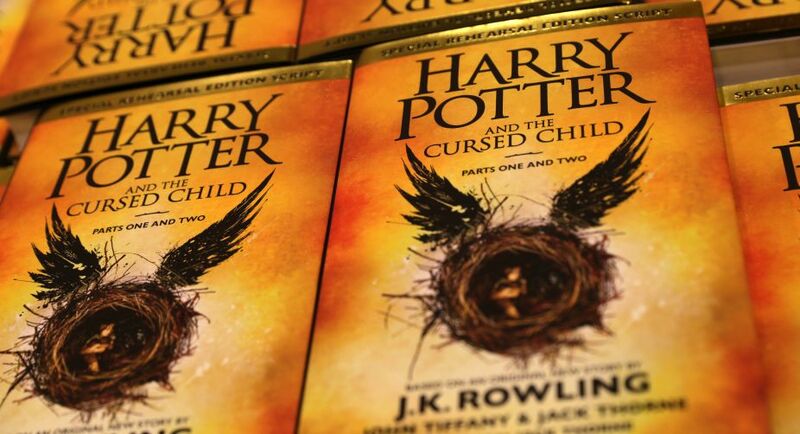 The fact that the book is a play script rather than a standard Rowling prose form has not deterred the fans from delving into the magic world one last time to reunite with the characters that has formed a part of the lives of many. Harry Potter and the Cursed Child-the new instalment from the Potter universe picks up right from where the Harry Potter and the Deathly Hallows had ended. The story revolves around Albus Severus Potter who is heading off to Hogwarts for the first time as Harry, Ron and Hermione come to drop off their children at platform Nine and Three – Quarters exactly 19 years after the Battle of Hogwarts. (Following paragraphs contain minor spoilers)-The play shows Harry as a father who is struggling to establish a comfortable relationship with his younger son-Albus. The father-son duo struggles with the burden of Harry’s heroic past and the expectations that come on Albus with the legacy. As the young Albus sets off to newer adventures at Hogwarts he finds a friend in Draco Malfoy’s son Scorpius Malfoy. The misfits battling through the shadows of their family name find solace in each other’s company and quite contrary to Harry and Draco’s relationship the new Potter-Malfoy duo has each other’s back when required. Though Albus might not be Harry, his character is as intriguing if not more. However, Scorpius’ character- total departure from that of his father, has provided a new favourite to the fans. Apart from the newer generation of Potter and Granger-Weaseleys, a new character- Delphini is introduced in the book and she plays a crucial role. The two part play is written by Jack Thorne and the story idea is by JK Rowling. The book is in script form instead of the prose and hence has short sentences and a lighter read. Though the writing is good and gripping, it loses on the ground of poor storyline. The Cursed Child seems to suffer in equal proportions as the protagonists of the play. Rowling has once again dabbled in the concept of time travel through Time- Turners as in The Prisoner of Azkaban. The characters travel back and forth in time to change the present (the story explores the topic of how past actions change our present or future). The storyline goes a little bleak when the consequences of these time-travels are explained. The book also explores the complex relationships that exist in the grown-up Potter’s world. As the Boy Who Lived still struggles with the ghosts of his pasts, it casts shadow on his present relationships and adds to his suffering. The friendship between the original trio needs no further establishment and has been touched upon in a subtle way (as it should have been). However, the changed relationship dynamic between Draco and Harry is something that sure has delighted the fans. With the mention of past actions other characters also make an appearance in the book and understandably Lord Voldemort’s character also makes appearance in the story adding drama and action to the story as always. Harry Potter and the Cursed Child promised everything that a Potterhead would have ever wanted. It would be safe to say though that it has not been able to deliver as good a product as a Potterhead would expect it to be. Although the book is a script, it should not have to be so weak story-wise. At some points of the story, it almost seems like a fan-fiction rather than coming from Rowling. Revisiting the story and seeing their beloved characters back in action sure does provide fans with that magical feeling and the story has remained true to the original characters. However, the loosely strewn story disappoints in the larger context. It reverberates the theme depicted in the book, time-travel has serious consequences and messing with our past actions need not result in favourable results. It is high time that both the author and fans accept the fact that Harry Potter series is wrapped up and should not be messed with so as to not risk ruining the legacy of the Potter franchise. All said and done, a Potter fan would delight in the new details provided about the original characters and new characters and villains that lead the story to its end.